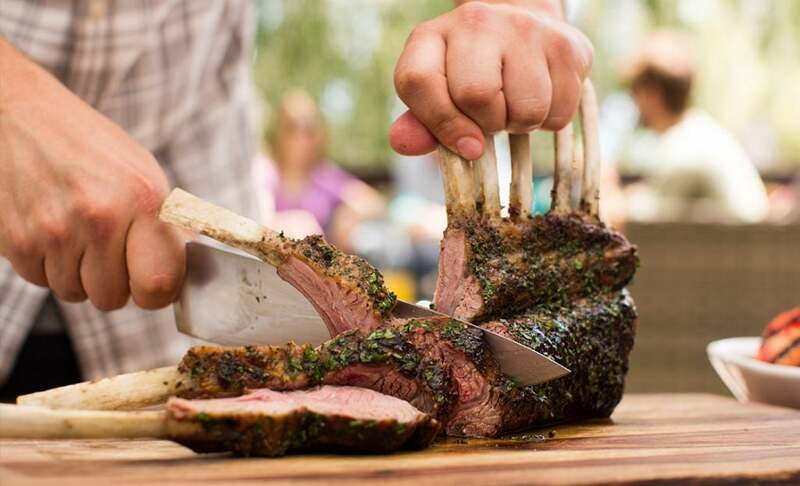 For many, rack of lamb is intimidating, but it’s actually very simple to cook on the BBQ using these seven steps. 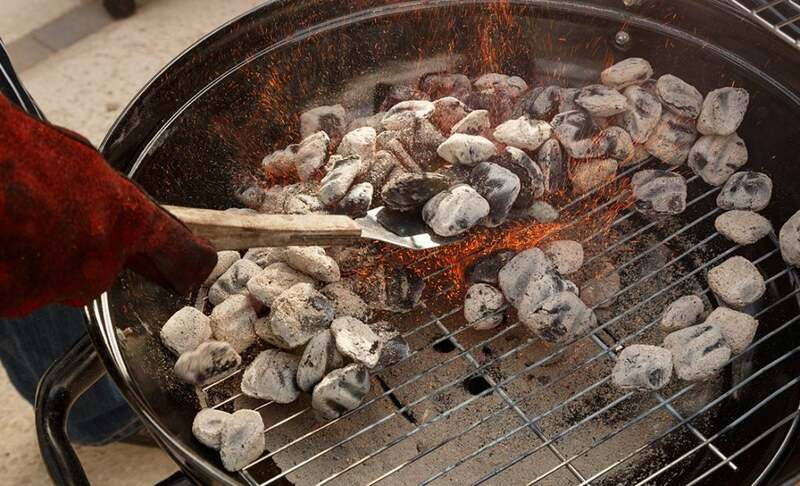 What’s more, the smoky flavor from barbecuing over Kingsford® Charcoal complements the flavor of the lamb perfectly. Simply cook the whole rack until it reaches the desired temperature, then slice into delicious chops. The exposed bones that make the rack look so appetizing will actually catch on fire while barbecuing, so it’s important to shield them. Take strips of foil and wrap the exposed bones all the way to the end. The foil will protect them from the high heat needed to sear the meat. After the bones are foiled, drizzle the lamb with olive oil then season the meat with your favorite rub or herb seasoning. Lamb is a delicate flavor, so a simple rub of salt, pepper, and fresh herbs like thyme or mint will work perfectly. Once browned, move the rack over to the cool side of the BBQ to finish cooking. Depending on size, the rack will be done in roughly 15 to 20 minutes total cooking time. But don’t rely on the clock. Be sure to have a good meat thermometer on hand to pull the meat from the fire at your desired temperature and not overcook it. The rack reaches rare at 49°C, medium rare at 52°C, medium at 54°C, and well done at 63°C and higher. Lamb can take on a gamey flavor when cooked past medium. Once done, remove the rack from the BBQ and let it rest, tented loosely with foil, for 10 to 15 minutes before slicing. This resting period is essential to allow the juices to redistribute throughout the meat. With a good sharp knife, slice down between the bones to make delicate little rib chops.